Lady Gaga is back with an upcoming third studio album called Artpop (whatever that means). It is projected to be released on November 11, 2013 under Interscope Records. The very first single from this album entitled Applause will be release on August 19, 2013, almost a month preceding the album. But as early as now Lady Gaga has already released the cover art for the said single and its nothing like any majestic painting you might find in a Michaelangelo gallery. It features a very obvious head shot of the artist where she serves as the canvas of what she might label as an artpop watercolor painting... I don't think so. 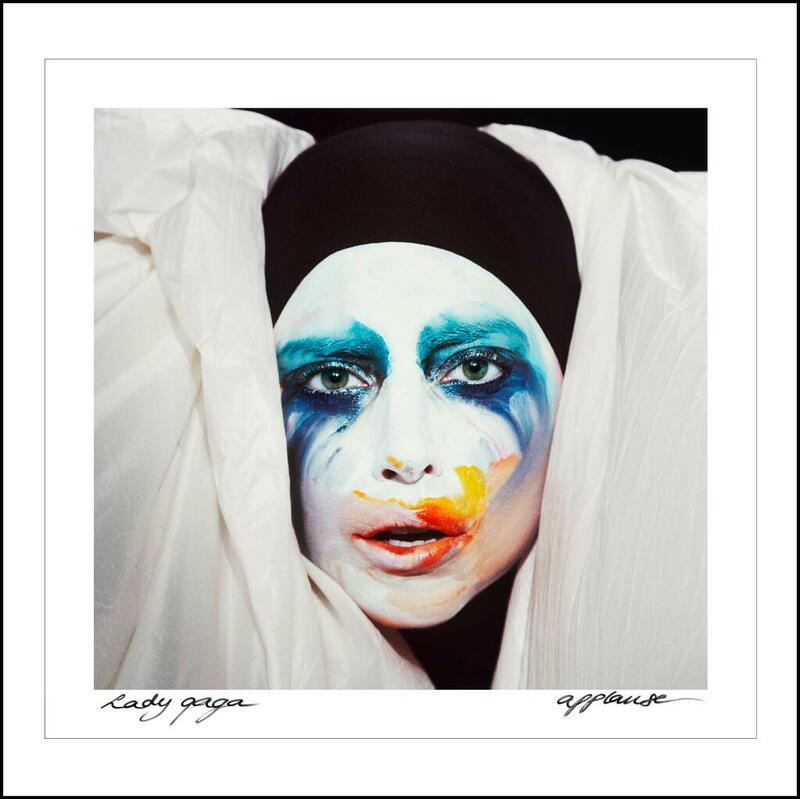 You can finally listen to Lady Gaga's latest single, Applause. Here is the cover art of Lady Gaga's upcoming single, Applause, that was revealed on one of her tweets. "I'll tell you that it is very fun. And that it's full of happiness, because what I'm saying in the song essentially is that I live for the applause. I live for the way you cheer and scream for me. Give me that thing that I love. Put your hands up, make them touch." Lady Gaga collaboratively wrote Applause with DJ White Shadow, with whom she has worked before with her previous albums.